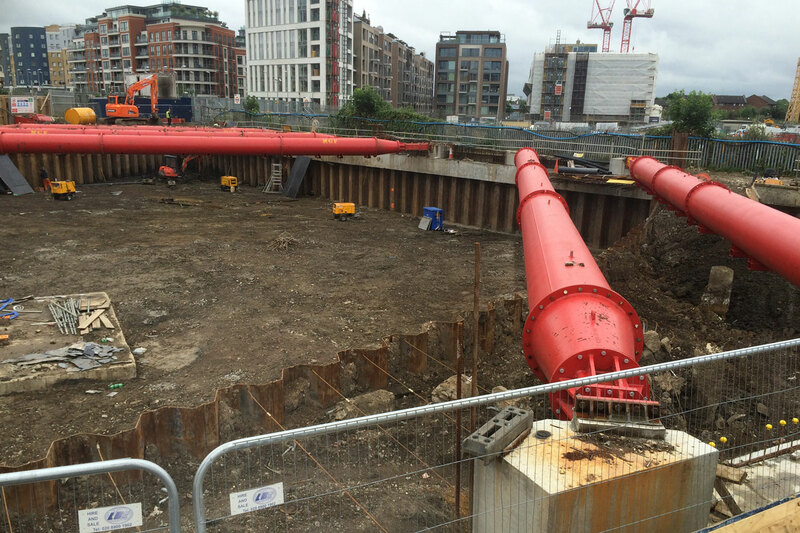 Sheet Piling Contractors, Sheet Piling (UK) Ltd have recently completed sheet piling and associated welding works for a basement construction on a luxury residential development at Chelsea Island, London. Working for Quinn Construction Ltd, a total of 470 Arcelor Mittal steel sheet piles were installed to form the permanent two storey basement ranging in length from 13.0m to 16.0m long. The works are adjacent to London Overground Line to one elevation and Chelsea Harbour Avenue on the other elevation. As such, the works required 3rd Party Approvals from both London Overground and Local Highways Department. These approvals were obtained between our in-house design department and Byrne Looby Partners. 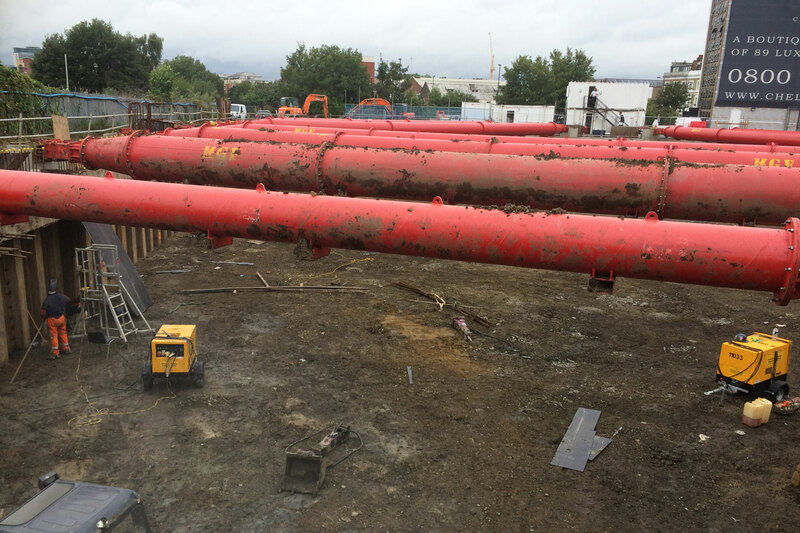 Due to the environmental location of the works, all sheet piles were installed using the piling contractors own fleet of Silent Vibrationless Pile Presses.